From home decor to lighting, here are inexpensive 32 mason jar crafts that prove its endless possibilities! Mason jar crafts and projects have been a craze for a long time now. They're easy to find and are quite affordable. You can find them at your local craft store or use old jars from your recycling. While there are lots of mason jar crafts that are superb, there are also lots of projects that are sub-par. I found the best and coolest projects, some handmade at DIY Projects, while others are from talented bloggers. I chose the most unique and awesome projects I haven't seen and done before. Check out this totally cool updated list of 32 ways to do mason jar crafts! Here are fun and easy way to make mason jar lights with our tutorial on DIY Projects. Have you used chalkboard paint before? It's fun and makes for great projects around your home. You can paint floors, walls, and furniture with it. So cool! Have you ever seen those cute little terrariums in glass jars? Recently made popular by interior design blogs, mason jar terrariums have been on the rapid upsurge. Terrarium definition: A resealable glass container with plants arranged inside. It can be opened for access, so you can easily maintain the plants inside or rearrange them for maximum aesthetic impact. These low-cost little loves are so easy to take care of, it makes a lovely decoration in any part of the home. Succulents can grow inside them if left outside and minimally watered. Have you ever made a prism light? Well, they're pretty simple and easy to make. Most of our prism lights are original pieces, but you can recreate them at home by watching our mason jar prism light tutorial! It's simple and all you need are a few tools and some mason jars. Mason jar pendant lighting has been used in many modern chandeliers to give the home a rustic look. I've also seen this done in bars and restaurants. The pendant lighting, when used with a vintage style Edison bulb, casts an orangey glow and makes the interior of a room feel warm and cozy. These solar powered mason jar lights are so cool! But take note that often, when making a mason jar light, the glass can become very hot to the touch. With the power of the sun, you can use these to light your patio for a fun evening with friends! I love this idea of turning a mason jar into a lamp. It looks so neat when you're all finished. Create a romantic atmosphere in your home with this mason jar oil lamp, scented with a few drops of essential oil or some dried flowers. If you're tired of the wrapper-and-ribbon combo for your gifts, then try putting them in a jar! 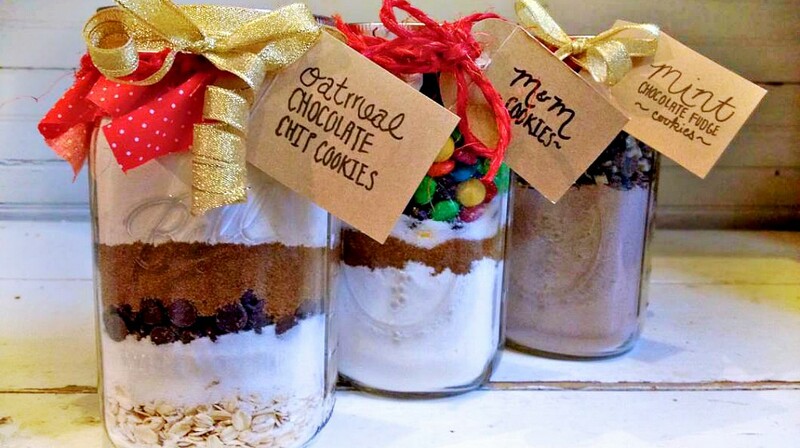 There are different types of goodies you can store in mason jars. With just a few supplies and a little bit of creativity, you can create any of these amazing gifts in a jar! Have you been longing to grow a beehive, but you just don't have any space for this activity? Don't fret! DIY mason jar beekeeping is one of the solutions. You’ll just need a couple of supplies, some wood, the bees, and your mason jars, to get started! I love this idea of storing all of your essentials in a mason jar! You don't need to dig through a bag of sewing supplies with needles and potentially prick yourself. All you need is to dump your sewing supplies (string, pins, embroidery thread, zipper, and mini scissors) gently into a mason jar and screw the lid on top. This mason jar light fixture looks very lovely. Simply fill your jars with tiny string lights and hang them right over your chair on the porch. It would be great to sit outside with hot cocoa and marvel at this amazing DIY project. I've seen these painted mason jar ideas in quite a few places and in many different colors. Simply paint your jars and let it dry. Rub some wax onto part of the jar and wipe it off using a clean rag to get that distressed look you want. Then, carefully sand off the raised painted areas to make it look more distressed. And, you have a beautiful distressed mason jar. I didn't come across this post until last week and I was stunned at how many people were using these mercury glass mason jars at their weddings! It's so pretty the way the blue and silver reflects in the light. I tried this project at home and it came out just as lovely as the photographs. Good luck! I've always loved the way mosaics look in old homes. Create these lovely mason jar pieces using some broken seashells or faux rocks and some twine. Simply cover your mason jar with broken seashells or faux rocks and tie the twine around the mouth of the jar. Then, add a tea light inside. This DIY mason jar snow globe is a perfect home decor for the holidays. Just looking at these makes me want spring and summer to just fly by so I can decorate my Christmas tree! To make this, secure the tree to the mason jar lid with glue, pour some salt into the bottom of the jar, close the lid, and flip. Look how realistic the tree inside the jar looks! I love these mason jar decoration ideas! Fill mason jars with your favorite flowers and make sure to add water to each jar if you're using real flowers. After that, grab a ribbon and tie two jars together and place them in the center of the table. What a cool idea for a fence post! If you're BBQing with friends or just hanging out on a deck or a patio these would look so awesome. To make this, simply unscrew the lid from the jar and remove the seal plate. Then, punch 2 holes in the lid directly across from each other and attach the chain. Place your little tea light into the jar, screw on the lid with its attached chain and hang. Done! Do you have some old mason jars with rusty lids? Don't throw them yet! Grab one jar with a lid, a soap pump top, and a glue to make a cool soap dispenser. Simply drill a clean hole in the mason jar lid. Make sure the pump fits (tightly) in the hole. Smear some glue into the bottom of the pump, then insert it into the lid hole. Fill these blue mason jar crafts with your favorite hand or dish soap and screw on the lid. How clever! Break out your mason jars for decorating and organizing this Easter. Mason jars are the perfect vessel for holding those rainbows of color. Simply fill your mason jars with Easter grass, then your Easter candies and treats, and your Easter mason jar giveaways are ready! If you're planning on incorporating a rustic atmosphere in your home decor, this project is for you! All you need is a few pieces of wood plank, mason jars, iron hooks, twine or a metal wire, candles, stones, and a few other supplies to create these simple, yet, adorable mason jar wall lanterns. Following the same idea as the mason jar wall lanterns, you can also fill your jars with your favorite flowers, instead of candles and stones. These mason jar wall flower vases hung on black iron hooks from board painted in white is a brilliant idea to fill empty wall spaces in your house. It makes a wonderful housewarming gift, too! Got a bunch of empty mason jars at home? Turn them into dandy glass jar frames! Grab a mason jar, slide a photo in, turn it upside down, and display your piece for everyone to see. Try using different shapes and sizes of jars and you'll be surprised at how lovely they will look. Your homemade carpet freshener in a mason jar with an old Parmesan shaker top is the way to go! Simply fill the mason jar with your homemade freshener, cover it with Parmesan shaker top, and you're done! This is such a simple trick to store your carpet freshener in style. Spice up your home decor with this unique DIY hand-painted lantern, bringing your mason jar to a whole new level. Simply draw your design on the jar with a marker, and trace it with paint. Add a handle made out of a medium-gauge wire, drop tea lights in, and string it up. Create an antique effect by applying patina to your mason jar. This will make a great home decor! Check it out here. This mason jar with blue patina has a different kind of appeal. It looks old but beautifully unique! Need a bigger jar to do your salt and pepper shakers? This creative mason jar project is something you can use around the kitchen. This 6-oz mason jar should be big enough for the job. The perfect gift for someone who bakes or just enjoys a little sweet treat. Just put a little ribbon design of your liking to make it a beautiful addition in your cupboard. Click here to read more! Photos are not the only way to capture memories. Take something back from your every trip and store your memories in a jar. How's this for a brilliant way remember things by? Need a quick and easy DIY gift? Make a survival kit for anyone. Give it to mom, dad, or someone who just needs a little pick me up. Click here to read more! Are you also a fan of make-ahead food you can prep a week ahead? Using mason jars can be a great way to organize your diet. Check out these easy and healthy mason jar salad recipes! Never fumble around a messy kitchen drawer for your spoons and spatula when you make this organization project. I like to use this chalk paint for several of my crafts (as I'm sure you've seen in other posts). Simply ingenious! Looking for more ways to utilize mason jars for your kitchen? Here's a simple DIY project that will have your condiments and other ingredients labeled and organized. Make your herb garden even without space with this ingenious way on how to plant herbs in mason jars. This one's perfect for the window seal and a nice way to create a uniform look for your planters. In love with mason jar crafts? Let’s agree, there are many ideas to incorporate them into our home. I hope these 32 cool mason jar crafts gave you the inspiration to start your mason jar crafting this weekend. Happy crafting! Which of these mason jar crafts is perfect for your home? Let us know in the comments section below! Editor’s Note: This post was originally published in May 2014, and has been updated for quality and relevancy. I googled “how to make a solar lid for a mason jar” and was directed to your site but while there are many mason jar “projects,” none that address making the lid. Can you tell me where to look on your site? Thanks!